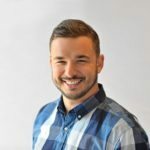 Adi Pavlovic is a Sr. Technology Researcher at Keller Williams Realty International focused on keeping a pulse on the real estate tech industry as well as studying the behavior between agents and technology. Adi advises KW executives regarding potential technology partnerships, innovation opportunities, and how emerging technologies may impact the real estate industry. We have consolidated all of the vital information on today’s technology and identified the following key technology trends for 2017. If it seems like real estate tech companies are raising money almost on a daily basis, it’s because they are. According to CB Insights, funding within the real estate tech industry has boomed tenfold since 2011, amassing $6 billion in funding globally with roughly half of investments going toward U.S. companies.